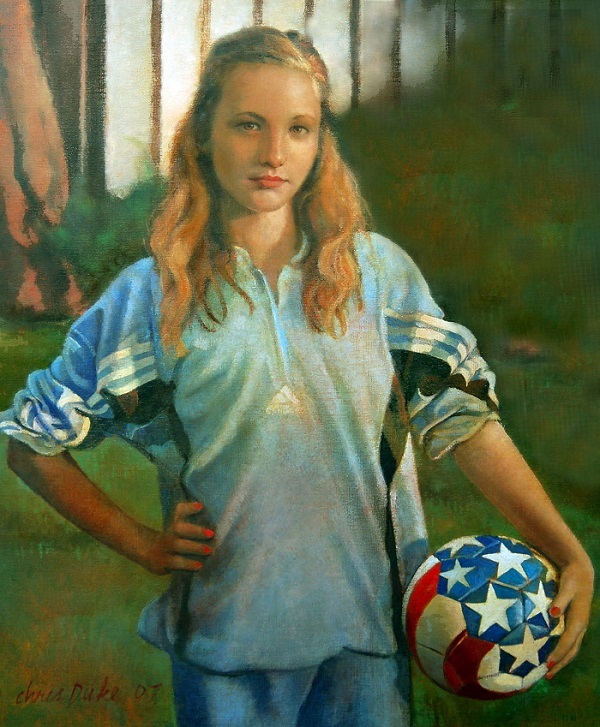 I love to paint teenagers with the tools of their finely honed sportive trades. Here Kara is at the age where one can envision her future, her features taking on their adult form. Painting young subjects is wondrous as they are perpetually in mid-transformation.